﻿ Data center optical transceiver supplier, is the profit really high? Data center optical transceiver supplier, is the profit really high? The optical transceiver is an important part of the data center, and the data center is requiring huge optical transceivers. Since they are so expensive, Is the supplier make so many money? In the data center, the optical transceiver is unremarkable, and when we talk about the advanced technologies of the various data centers, few people mention it. 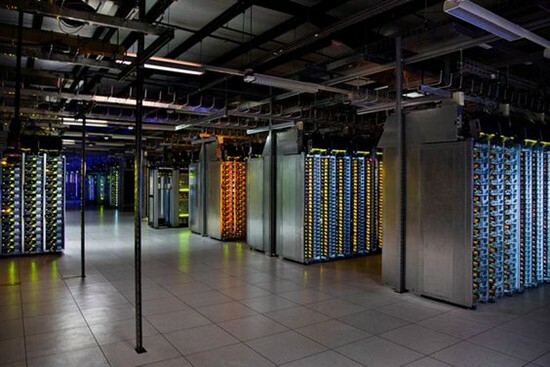 However, it is a necessity of the data center, and every data center is also inseparable from it. The data center required a lot number of transceivers, for example, a 48-port network equipment requires SFP+, and modular network devices are usually 100 ports, these ports need to use hundreds of SFP+ and QSFP+, so the number of optical transceivers required by the data center is huge. It is often easy to ignore the optical fiber and transceivers when deploying the Data center network. But you will find the total cost in the cumulative calculation is a very large investment. A total network equipment required for the total price of transceivers even more than the price of this network equipment, especially 40G / 100G high-speed optics. The price of them s are more expensive, a 100G optical transceiver prices may exceed the price of an ordinary box switch. So many data centers began to realize the use of optics cost, control the use of them, to avoid the data center operation and maintenance to bring a heavy cost burden. Since the optical module is so expensive, you may think that the optical transceiver manufacturers must earn a lot, the opposite is true. In fact, many optics manufacturers, including international manufacturers, are on the brink of the loss, and losses may be the most commonly used word for the performance reports of optical devices and transceivers suppliers. JDSU, AVAGO, WTD and other vendors are relatively low profits, like Finisar’s net profit is often fluctuating. On the one hand is the data center market, the huge demand for optical modules, while the other is the loss of leading manufacturers, why? First of all, these transceiver manufacturers profit is declining, because of the rise of China’s optical transceiver manufacturers. With the continuous development of China’s optical communications industry, the emergence of a number of outstanding transceiver vendors, such as Hisense, WTD, Source Photonics. These China’s optics manufacturers R & D capabilities, the production process to improve, combined with the product cost advantage, significantly enhanced competitiveness, which largely reduced the entire industry profits. In particular, 100M / 1G / 10G optical transceiver, the accumulation of China’s manufacturers of technology, can provide the same function and quality as international manufacturers but at an inexpensive price. Low-speed transceiver market competition is fierce, almost reached the point of shopping, China’s vendors rely on the cost and market advantages, and constantly expand the market occupancy rate, which allows international manufacturers can only rely on 40G / 100G high-speed optical module to maintain market share. This kind of market competition pulls down the price of them. Second, the optical transceiver to the data center customers, also need to go through many times. It is an active device that must be plugged into a network device and then can be used. If the network device does not support such optics, then the data center can not use such transceivers. After all, it is easier to replace the equipment compared to replace the transceiver. This kind of adaptation can only be done by the network equipment manufacturers, so that network equipment vendors will purchase a variety of transceivers, and then cooperate with the manufacturers to guarantee the compatibility, so that network manufacturers will purchase transceivers directly from the manufacturers. Equipment manufacturers network equipment market occupancy rate is extremely high, the number of procurement of transceivers is also amazing so that the purchase of them can be kept low prices. Network equipment manufacturers always sell optical transceivers to the data center while selling network equipment, so that network equipment manufacturers to earn part of the profits from the optical transceiver. These network equipment manufacturers are equivalent to the transceiver manufacturers A-level agents. There are a lot of network equipment suppliers directly purchase optical transceivers and then sold to the data center, or data center customers directly buy from the transceiver manufacturers. Because there are many kinds of data center network equipment, there will be an incompatibility problem, such as part of optical transceivers functions missing. There are also many people see the profit here, directly purchase from the transceiver manufacturers their procurement, fake network equipment manufacturers produced, sold to customers and make a profit. Network equipment manufacturers are insurmountable ditch between optical transceivers supplier and data centers users. Both of them rely on network equipment, so the profit of the transceiver market by the network equipment manufacturers to rob is inevitable. In the short-term, this market pattern will not change. Finally, the optical transceiver technical barriers are not high. Unlike the network equipment that to support hundreds of network protocols, the technical complexity of transceivers as long as the optical signal is not high. Even if the current commercial maximum rate of 100G optical transceivers, there are also many suppliers can supply in large quantities. When a new transceiver appears, soon a lot of suppliers will learn and make, quickly pull down the market price. In any way, the optical transceiver is an important part of the data center. In the next few years, the data center will continue to maintain a high-speed expansion, which requires a large number of transceivers, especially ultra-high-speed ones, which provides the opportunity for optical transceiver vendors. The requirement of the data center to single port rate is higher, and the application of 40G/100G in the data center is more and more popular, which brings new profit growth point to optics manufacturers. In 2015, the global transceiver market growth was close to 13%, and it will still hit a new high more than 4 billion U.S. dollars. Optical devices have grown by 18% in the data communications market, up 3% in the telecom segment market. One of the main reasons for the growth is the higher demand for 40G/100G devices, only 40G transceivers reached 2.5 million, the future high-speed transceiver growth will remain high, sales remain strong. So from the future development of the data center, the optical transceiver will still be a desirable market, the increase of ultra-high speed optical transceiver needs to pull the manufacturer’s performance greatly.